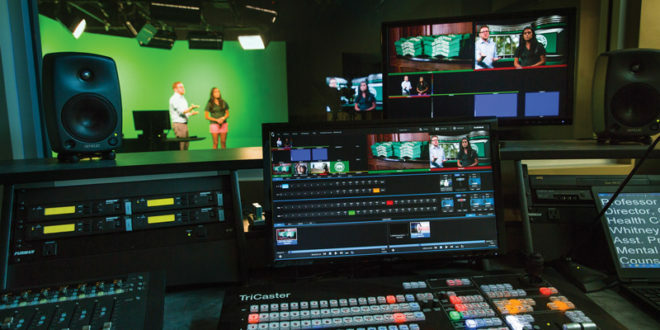 As part of JU’s Florida EPIC (Entrepreneurism, Policy, Innovation and Commerce) Program, high-end video production equipment and facilities are now in place, along with the University’s first full-time Media Services Manager to assist instructors as they create materials for distance learning programs, supplemental learning modules and tutorials. In the “flipped classroom” approach popular in higher education, traditional lectures are made available as video lessons to be watched at home, and class time is spent in more interactive and fluid engagement with students. Essentially, the lecture and the lesson itself have now become the homework students use to prepare for classroom discussion. Minton now has a plethora of equipment in the Video Production Studio to help faculty make that video as clear as needed. And with a higher bar set to execute increasingly elaborate multimedia presentations and deliver bolder and better content, he needs it. A Dell PC with presentation remote and Sharp 20-inch Pen Touch Display to annotate presentations. 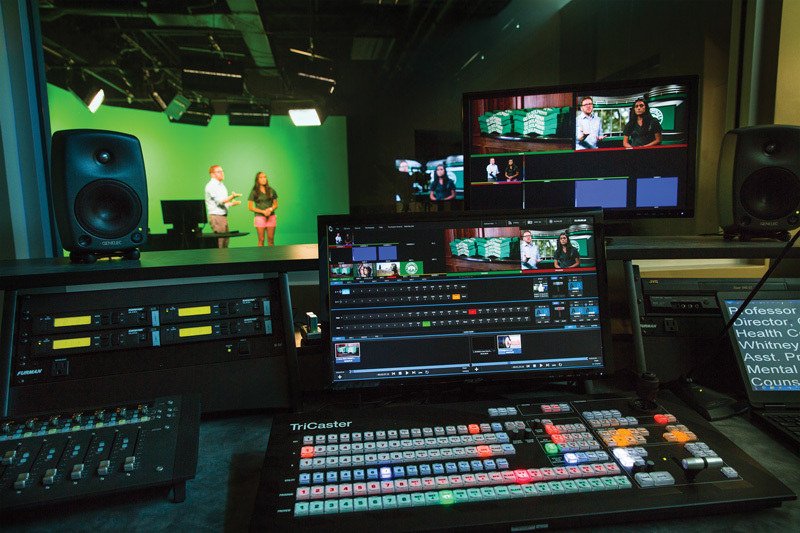 Other features include professional broadcast studio lighting, a document camera for displaying physical items, textbooks and other instructional materials, and an on-camera Teleprompter for displaying scripts. The push to aid faculty in developing new and innovative ways to enrich the student learning experience has led to creation of the Academic Technology Department. Dee Thornton, inaugural director of the department, will work with Minton and other employees to help instructors develop or enhance course design and teaching strategies, assist with video production services for all colleges and departments, and provide support for and training of professors using academic technology in the classroom. Importantly, the videos are also available to students on-demand: when they want them, where they want them and on the devices they use most. They can view them repeatedly to supplement their notes and other reading materials. The new technology isn’t just for faculty, however. The video room is also a resource for students studying Communications and Electronic Media to produce material for the Dolphin Channel and elsewhere. Dr. Annmarie Kent-Willette, Professor of Communications and Director of the Marilyn Repsher Center for Teaching and Learning, has guided her broadcast journalism students to 23 top awards from the Florida Associated Press Broadcasters, and is gratified to see the new equipment in place.